There is a curious theory on the collective memory of groups. According to Jan and Aleida Assmann - two leading German scholars on Egyptology and Cultural Studies - one has to differentiate between a ‘cultural’ and a ‘communicative memory’ of groups. While the former is vast in scope, relatively structured and embraces all archeological and written inheritance of a group, the latter is much more fluid and only contains knowledge perceived as still relevant to everyday communication by group members. One of the fascinating features of the ‘communicative memory’ is that studies proved that it tends to contain only knowledge of the past three generations. I.e. as long as our identities are built upon on our communicative memory, there is a cliff of forgetting and blindness that sets in around 80 years in the past from the present day. Whatever falls of that cliff sinks into oblivion of everyday communication - i.e. it is still recorded in writing and possibly part of academic studies, but ceases to form part of the everyday set of symbols of a collective. Often the ‘communicative memory’ then reappears about 500 years into the past, marked by a much more mythical terminology and narrative. Well, let’s see what happens if we apply this theory to the make-up of our Western occult roots? If we travel back into our past 80 years from today we find ourselves back in the 1930s. Maybe due to the significance of certain individual biographies of that time our ‘communicative memory’ stretches back a little further, another 20 to 30 years? We recall the foundation of the Golden Dawn, events in the life of Aleister Crowley, the impact of the two World Wars on society and maybe how many spiritualists strived to combine latest technological discoveries with theories of the occult... But what do we recall about the 19th century? Except for a few guidepost names such as Eliphas Levi, Papus, Bulwer Lytton or Frederick Hockley I’d assume most of our minds come up blank? And even considering these names: how much of them do we truly remember? How much of their personalities, their personal struggles and desires, their biographies and characters versus their writings and a few of their occult theories? But what happens if we travel further back in our memories and bridge this strange gap between 80 and 500 years of our past? Now we are in the 16th century. Here we meet John Dee and Edward Kelly, we hear the echo of mythical names such as Johannes Trithemius, Heinrich Cornelius Agrippa, Francis Bacon or Giordano Bruno... Yet, these names have taken on a different form. Instead of calling out an individual multi-facetted personality, for most of us they became mirrors of their times, collective ideas, archetypes almost. Or how much difference in shades do we truly find between our memories of Heinrich Cornelius Agrippa and one Dr. Faust? What I am trying to say is this: For as much as our occult history has craved to build chains and links of lineage into our past, our actual memories beyond the time of our great-grandparents are pretty narrow and patchy at best. Now, why does that matter? It matters because the more we travel back in time from this edge onwards, the more our ancestors made us belief our feet rest on the solid ground of occult history and tradition. Yet, upon closer examination it rather seems the opposite. It might be much wiser to assume our tradition is an invention of creative people who depended on it just as much as we do with our own desire for genuineness and originality. It might be much wiser to take such sceptic approach to the dazzling mirror we call our occult tradition. At least until we have done our own research on facts and myths. A story is a story, until we have proven it to be a record of events. Now let's dive into an actual and most fascinating example of these patterns of collective memory. It is an example that for most of us is buried in that strange abyss between 80 and 500 years of our past. This example is the German 18th century masonic order of ‘The Knights and Brethren St.John the Evangelist of Asia in Europe’ or in short simply the ‘Asiatic Brethren’. You can read about their general history in Hanegraaff’s wonderful Dictionary which we highly recommend as an essential reference book for anyone interested in magic. Should you read German you can also look up some key facts on the order here on Wikipedia; however, to my knowledge as of 2014 there is no English language entry. Thus I will provide a highly abbreviated outline here: The Asiatic Brethren were founded by a Bavarian Officer, Hans Heinrich von Ecker und Eckhoffen (HHEE, 1750- 1790). Their foundation followed the rather unsuccessful earlier attempt of the latter to bring to life a new rosicrucian order, the ‘Ordo Rotae et Aureae Crucis’ (The Order of the Wheel and Golden Cross) in 1776. While this order played a significant role in the emergence of Adam Weishaupt’s order of the Bavarian Illuminati they ceased to exist relatively quickly as HHEE couldn’t attract many members. After his expulsion from the order of the 'Gold- und Rosenkreuzer` (Gold and Rosy Cross) in 1780, HHEE moved from Munich to Vienna where the order of Asiatic Brethren was founded. So what is it that makes this short-lived order stand out from the crowd of other secret societies of its time? Why has it been hailed - rightly or wrongly so - to be one of the critical forerunners of the Golden Dawn and many its descendants - as well as to be an influential force on so many of our ancestors such as Eliphas Levi, Papus, P.B. Randolph, Frederick Hockley or Kenneth R. H. Mackenzie? Well, the answer is mainly down to two men. However, we are not talking about the founder of the order, HHEE, nor of any of its prominent members. Instead it were two men that most of us have never heard of and even academic history had almost forgotten about until the 1960s. The man we want to begin with was baron Franz Thomas von Schönfeld - an adventurer and nobleman whose born name he kept secret to everyone throughout his adult life. Because knowing him under his real name, Moses Dobruška would have given away a lot - not only about his Jewish ancestors but also about their particularly unconventional believes. In order to truly understand von Schönfeld's situation we have to travel back a little further in time… However, as we will see such context is not only critical to understand one of the order's most important founding fathers but also to understand the order itself. So in order to find access to the halls of the 'Asiatic Brethren' let's not follow the main route. Let's leave the tourist road instead - and take a look at the lesser known heretic currents that prepared the soil for the order of the Brethren to emerge. Here is how a short version of the official (Wikipedia) story sounds: Sabbatai Zevi (1626-1676) declared himself the new Messiah early on during his education as a Rabbi. In order to prove his divine status to his followers he pulled quite a few eccentric, yet effective publicity stunts: such as pronouncing the holy tetragrammaton in public, officially marrying the Torah and later on wedding Sarah, a young Polish prostitute who proclaimed she would be married by the Messiah. However, different to most other self-proclaimed ‘new messiah’ that we know of, Sabbatai’s influence already spread and extended significantly during his life-time. Despite being banished by local rabbis several times and causing shock and outrage amongst orthodox Jewish leaders, he and his charismatic wife gained a large following and eventually established their power-base in Smyrna. From their his influence grew further and quickly spread all across Europe. So far the general version. 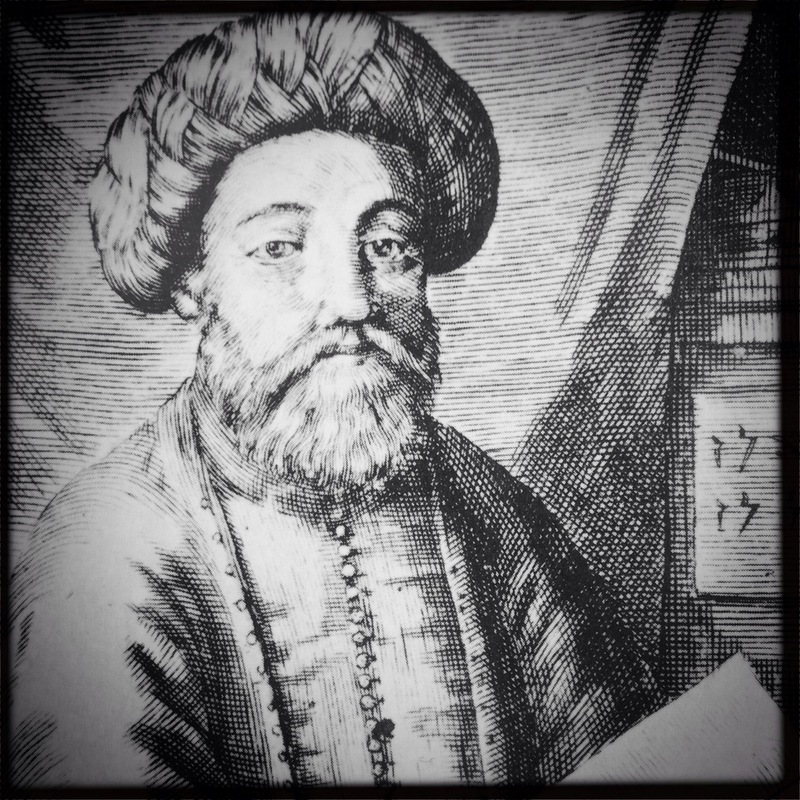 And here is what we don't learn unless we dig a little deeper: In his amazingly detailed biography ‘Sabbatai Zwi - The mystical Messiah’ Gershom Sholem puts forward many proving points to his argument that Sabbatai actually was psychologically ill, i.e. that he suffered from strong manic-depression throughout his life. Rather than being ‘publicity stunts’ or attempts to prove his divine status to his followers, Sholem argues, his paradox and hugely provocative acts should be interpreted in light of this specific mental condition. In fact some of his followers realised his condition as a sickness, yet perceived it as a divine gift and further prove of his special status as a mediator between man and godhead (Scholem 1980, p.319). Thus Sabbatai turned into a prominent example of Jewish antinomianism and coined the related term of ‘Ma’assim sarim’ (strange or paradox deeds) amongst his followers. While being a student of theoretical Kabbala of average quality at best, Sabbatai’s real impact and charisma stemmed from the ‘divine acts’ which he performed - often just after emerging from the dark night of depression or after having sung psalms for hours in a seeming state of emotional ecstasy. As shocking as they were, Sabbatai proclaimed, that the meaning of these paradox acts was obvious to him while he was in ecstasy and utterly inaccessible and heretic even to himself once he had returned to his normal state of being. After a very eventful life - as one would expect given the short outline above - Sabbatai ended up in imprisonment under the Ottoman Sultan Mehmed IV. The Sultan gave him three choices: (1) to subject himself to trial of his divinity (if the arrows of the Sultan’s archers would miss him, his divine status would be proven), (2) to be impaled or (3) to convert to Islam. On the next day, September 16, 1666 Sabbatai “came before the sultan, cast off his Jewish garb and put a Turkish turban on his head. Thus his conversion to Islam was accomplished.” (source). While Sabbatai’s conversion caused dismay amongst many of his followers and invited ridicule from others, still about 300 of his disciples as well as his wife Sarah converted to Islam as well. Since then a small group of followers is said to have continued to keep Sabbatai’s teachings and heritage alive; theDönmeh being the most popular ones amongst them. The legend further goes that Sabbatai actually never dropped his heretic believes - yet that he chose his conversion to Islam as a disguise which would allow him to continue to teach and spread his cult in secrecy, while officially being protected through his new Islamic affiliation. Thus for the follower’s who held this belief, converting to a foreign and publicly accepted faith such as Islam or Christianity - once perceived to be one of the most significant sins possible for Jews - actually turned into an expression of their true and secret faith… Only in light of this can we understand what Sabbateans meant when even after their conversion to another faith they continued to call each other ‘Ma’aminim’ (believers). They didn’t emphasise their commitment to their newly gained religion, but to the divine mission of their original messiah, Sabbatai Zevi (Scholem 1980, p.332). What we have not mentioned so far in this hugely abbreviated overview on Sabbatianism is what actually turned the deeds of this originally little known sinner, mystic and ascetic from Smyrna into the most prominent and long-lasting Jewish heretic movement ever since. The reason are the writings of his self-proclaimed prophet, Nathan of Gaza. Only through the latter’s mystical interpretations of Sabbatai’s situation and heretic deeds did the story of this new messiah gain the mystical depth, the spiritual weight and kabbalistic meaning that created the necessary gravitas to turn it into such a strong movement. In fact it is Nathan of Gaza’s peculiar mix of Lurianic Kabbalah, qlippothic-gnostic interpretation, quotes from the Zohar and his own mystic exegesis that - as we will see - should turn Sabbatianism into a future, hidden cornerstone of our Western occult lore (Scholem, p.328). Now, before we conclude this first excursus let's look at a short, yet critical example of Nathan’s particular explanation of Lurianic Kabbalah. We can find it in his small ‘Treatise of the Dragons’ (Drusch ha-Tanninim, ref. Scholem 1980, p.325f / Scholem 1992, p.317f). One of the most essential elements of Lurianic Kabbalah is a term called ‘tikkun’ or ‘tikkun olam’ (repairing the world). Luria’s idea was that when the first divine light pierced into the void that G'd had withdrawn from to make space for his creation a kind of cosmic accident happened (schebira). The particular accident happened when the light began to fill the fifth sephira of geburah (strength); the related type of light was too strong and overwhelming for the vessel it poured into and thus broke the cosmic vessel. The shells of the vessel dropped into the vast, dark ground of the void. However, some sparks of divine light stuck to them just like drops of oil stick to potsherd. After the cosmic creation had been recovered by use of an incredibly complex process of restoration (parzufim), these animated ‘shells of clay’ remained at the bottom of the new creation, causing dismay and all evil among living creatures. Man’s role in creation thus was to collect the invisible pearls of divine light from every broken fragment of the original fifth vessel. These fragments could hide anywhere; in fact many Kabbalists began to assume all of the created physical world as an expression of these qlippothic shells. Now, the act through which man could ‘repair the world’ is to treat everything s/he encounters with empathy, devotion and respect. And this is what Lurianic Kabbalists came to know as tikkun. It is the reason why everyone of us exists, it is what we and in particular the Jewish people are here for: the picking up of divine sparks from amongst the darkness of qlippothic shells (Scholem 1992, p.60). A process that will only end with the advent of the new messiah. So far the highly abbreviated, yet original Lurianic teaching on tikkun. In his treatise of the dragons Nathan expands this interpretation in a way that would allow him later on to explain the behaviour of the new messiah, Sabbatai, in deeply mystical and kabbalistic terms. According to Nathan of Gaza the qlippothic forces already came into existence when G'd originally withdrew into itself (zimzum) to create a void that could be filled with creation. In fact the entire void was filled with such hylic, formless powers as well as at the same time with powers that strove towards creation. Creation thus was a process of constant forming, bonding and integration of these qlippothic forces into the newly formed worlds (Scholem 1992, p.320f). When the divine light shattered the fifth vessel and collapsed into the abyss, what fell into the dark amongst these sparks of light was also the soul of the messiah itself (Davidowicz, p.117). This is why, according to the Sabbateans, since the beginning of the world the soul of the messiah is locked into a cave of darkness. And together with it in this darkest of places dwell the qlippothic snakes or dragons that were contained outside of creation who plague and torture the messiah’s soul. 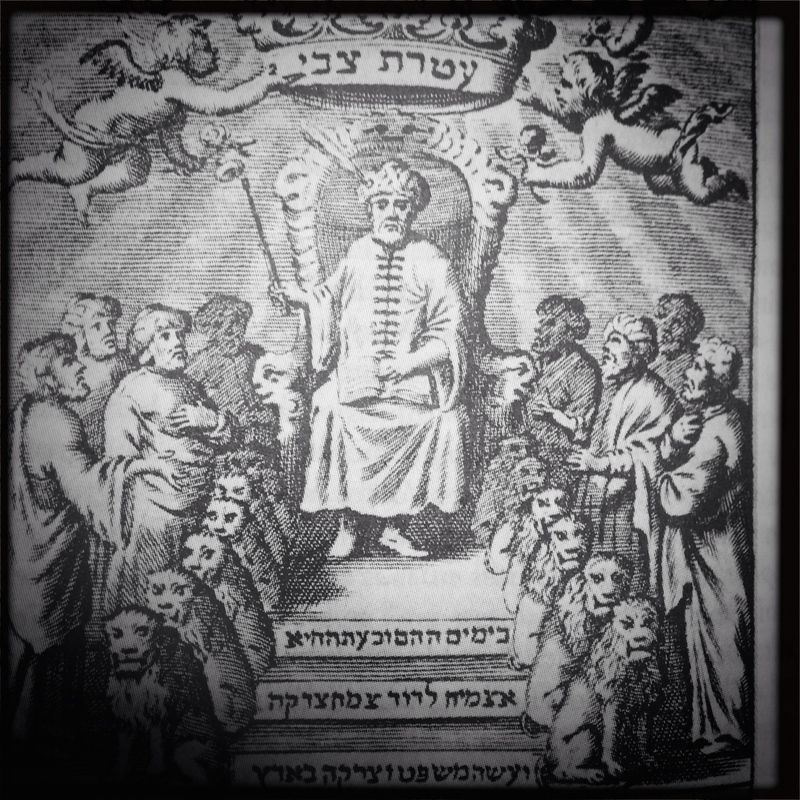 Now, earlier I referred to the significance of Sabbatean Kabbala to our Western occult lore. Having examined the re-interpretation of the originally Lurianic term tikkun we are now at a point where we can better understand one of the main reasons for its longstanding impact on our own tradition: It was the Sabbatean interpretation of Salvation that made all the difference. Suddenly the idea of salvation first and foremost didn’t refer anymore to the exoteric redemption of the Jewish people from slavery amongst other people. Instead it pointed to an inner salvation, an esoteric process of mystical healing and restoration of one’s own soul (Scholem 1980, p.334). Thus it is in Sabbatianism that we find the central myth of Kabbalah retold: From an exploration of the process through which the Jewish kingdom would be restored, its central concern changed into a mystical path that would lead to a radical change and sublimation of substance. Both, the substance of all worlds created as well as the substance of the human soul.